How Can I Beat a DUI or DWI? A DUI or DWI arrest is a scary thing. If you or a loved one has recently been arrested for drunk driving DUI / DWI or another operating a vehicle under the influence of alcohol or drugs violation, you are probably feeling very confused and overwhelmed. While the information on this page is hopefully useful, there is no substitute for a local DUI defense lawyer. You should not attempt to handle a drunk driving charge on your own. DWI / DUI attorneys who know the laws and procedures for DUI / DWI in your state can help you in all aspects of your case. In the sections below, find information relating to different elements surrounding a drunk driving charge. In addition to the information on this page, be sure to visit the driver's license suspension page and the DUI penalties page to learn more about these facets of your DUI / DWI charge. 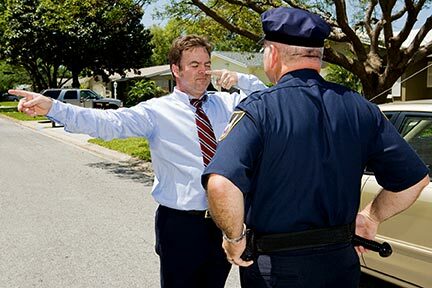 The DUI Stop and Arrest process can be broken down into three events: first, the officer has probable cause to believe that an individual is driving while intoxicated; next, the officer asks the driver to perform a series of field sobriety tests to determine whether there is enough evidence to arrest the individual, if the officer believes that there is enough evidence; the driver is placed under arrest and brought to the police station for further questions and testing. As you will notice while reading through the description of a drunk driving arrest that follows you might notice that the arresting officer has to make many decisions before placing you under arrest. You might also notice that there are certain steps and procedures the arresting officer must take in order to execute a lawful arrest for DUI / DWI. 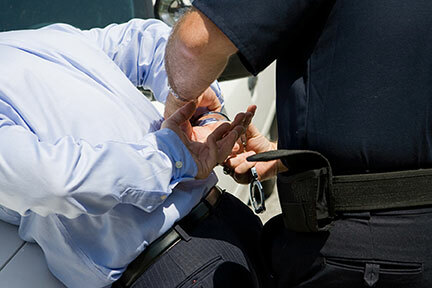 A skilled DUI attorney will go through the events leading up to your arrest with you to determine if the officer failed to properly conduct the arrest procedure. If any element of the process is done incorrectly, or the officer was not properly trained or the PAS screening device had not been properly calibrated, or any other potential impropriety took place during the stop and arrest process, there is a possibility that your drunk driving attorney may be able to persuade the court that the arrest was unlawful and the DUI charges must be dropped. Remember: From the moment the police officer pulls you over he or she is building a case against you. Know your rights, don't say anything that may incriminate you, and remain calm. With the exception of DUI roadblocks / sobriety checkpoints, before a police officer can initiate a traffic stop he or she must have probable cause to believe that the driver may be driving while intoxicated due to the manner they are operating the vehicle (weaving, slow speeds, etc) or they have witnessed the driver commit a traffic violation. Once the officer has gained reason to pull over your vehicle, they will most likely begin the next phase of the procedure: the Field Sobriety Test. The police officer has pulled over the driver and after a brief discussion with the driver, has determined that there is reason to believe that individual is driving under the influence of alcohol or drugs. At this point the officer will request the driver to step out of the car to perform a series of field sobriety tests. Officers may employ tests such as the horizontal gaze nystagmus (HGN) test, the "walk and turn," the rhomberg balance test, standing on one leg, and/or the Portable Alcohol Screening (PAS) Test - a handheld breath alcohol analyzer. Note that in many states you have the right to refuse to perform these tests, and while refusal to perform field sobriety tests does not itself carry penalties like a refusal after arrest, refusing to perform the tests does not mean that the officer cannot still place you under arrest for DUI / DWI. After the officer has gained enough evidence to warrant arrest, the officer places the driver under arrest. When the police officer is satisfied that there exists enough probable cause to place the driver under arrest, he or she will notify the driver that they are under arrest and read the driver their Miranda rights. The officer will then transport the driver to a police station. 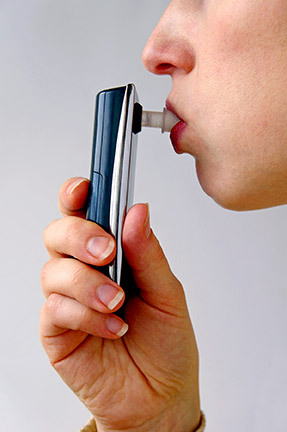 Once at the police station, the officer will request that the driver submit to a chemical test of his or her breath, blood, or urine to determine intoxication. Failure to comply with this request triggers penalties on its own under what most states refer to as "implied consent laws." If you complete the chemical testing and the results show that you have reached the legal level of intoxication (.08% BAC for drivers over age 21, for drivers under 21 states have "Zero Tolerance Laws" that state a driver is legally intoxicated with any alcohol in their system) you will be booked and bail will be set. How Much Should I Expect to Pay in Bail for a DUI Arrest? It depends on your state but probably somewhere in the $500 - $1,000 range. Bail amounts are set at the discretion of a judge. Many jurisdictions have set guidelines that standardize bail amounts for common crimes like driving while intoxicated or driving under the influence of alcohol or drugs but the judge may still change bail amounts in certain circumstances. If you are able to make a phone call prior to your bail hearing, you should use that call to contact a criminal lawyer who specializes in drunk driving defense law. Having an experienced DWI / DUI attorney present on your behalf could help to get you the lowest bail amount possible. In most states, you will not be able to get out of jail following a drunk driving arrest without having to pay the bail amount yourself in full or post bond using a bail bondsman. If bail is set at $1,000 and you do not have $1,000 to pay yourself, you may be able to hire a bail bondsman who will pay your bail amount for you in exchange for $100 (10% of the bail amount is the standard amount of security bail bondsmens require). Note that some states - Massachusetts, Oregon, Illinois, Maine, Kentucky, Nebraska, Wisconsin, Washington D.C.- do not allow for professional bail bondsmen. If you are in one of these states, your DUI / DWI lawyer will be able to explain to you what you have to do to get out of jail following your drunk driving arrest. Implied Consent Laws are in place in every state that require you to submit to chemical testing of your breath, blood, or urine to determine intoxication. If you refuse to submit to testing, you are breaking the implied consent law. Refusal to submit is a separate penalty from a DUI charge that generally carries additional driver's license suspension time and fines. Click this page for more information on implied consent laws and "refusal to blow" penalties,. In many states, the penalties for a drunk driving arrest can be increased if certain factors are present. These factors are referred to as aggravating factors or DUI / DWI enhancements. If you have previously been convicted of a DUI / DWI offense, you will face stiffer penalties than for a first offense DUI / DWI. As you may expect, the more DUI or DWI arrests you have in your past, the greater the penalty. What you may not know is that if reach a certain number (generally 3 - 4 or more) of DUI convictions you could be charged with felony drunk driving. Depending on your state's DUI laws the length of time since your previous conviction will impact whether you are charged with a second (or subsequent) DUI / DWI or only have to face first offense DUI charges. The "look back period," that is, the amount of time a court will be able to look back at your driving record for previous drunk driving offenses varies from state to state - it could be anywhere from 3 years to all the way. Your DUI attorney will know what the look back period for DUI laws are in your state. There are two important things to note about look back periods and drunk driving convictions: (1) The court may look back on refusals to submit to chemical testing and count those as a DUI for the purpose of determining how many prior offenses have occurred within the look back period. (2) The court may (and will) look back for DUI convictions in other states that occurred during the look back period. The penalties for a first DUI offense are harsh. If you are facing a second or subsequent DUI / DWI charge, you should already know the importance of retaining excellent legal counsel to help with the drunk driving trial. Contact a knowledgeable local DUI / DWI attorney today and discuss look back periods and how they apply to your driving under the influence of alcohol or drugs charge. If an individual is driving while intoxicated and injures or kills another person, they can be charged with a more serious crime than normal DUI / DWI. Generally speaking, an individual who kills or does serious bodily injury to another person will be charged with a felony. This could mean prison time over 1 year, enormous fines (in addition to financial liability for all damages caused) and loss of driving privileges for an extended period of time. If you have been arrested and charged for DUI / DWI causing serious injury or death to another person, contact a skilled local DUI lawyer who will work with you to come up with a drunk driving defense trial strategy. Every state in the US has adopted .08% BAC as the legal limit for intoxication for drivers 21 years of age or older. Most states have adopted laws that require further penalties if the driver's BAC reaches a higher threshold. In many states, the threshold for excessive BAC is .15% or higher. So, if you are arrested for DUI and when you submit to a chemical test for intoxication the results show a BAC that meets or exceeds the threshold for excessive BAC, you could be facing more severe penalties even if this is your first DUI arrest. In addition to the aggravating factors discussed above, many states have adopted other laws that require enhanced penalties under certain circumstances. Driving while intoxicated with a minor passenger (the age most often used by states to determine whether the passenger is a minor in DUI cases is 16, but varies) is one such aggravating factor. Others include: DUI with an open container of alcohol in the vehicle, DUI in a Work Zone or School Zone, DUI while Driver's License Suspended, and others. Your DWI / DUI lawyer will be able to tell you what the aggravating factors are in your jurisdiction. There are some states where a first offense DUI / DWI charge can be plead down to a lesser offense. An experienced DUI defense lawyer will know if this is possible in your case. Understand that there are not many states where this is possible as many states expressly set out in statute that a DUI charge cannot be plead down. If the possibility of pleading down a DUI charge to Reckless Driving (sometimes called "Wet Reckless") does exist in your jurisdiction you must understand that this is a complex negotiation with the prosecutor and court that should not be attempted on your own but only by a drunk driving attorney with extensive knowledge of driving while intoxicated charges and procedures in your state. The only sure way to beat a DUI / DWI is to choose not to drink and drive in the first place. Following a DUI arrest, your experienced local drunk driving defense attorney may mention the possibility of a diversion program for DUI offenders in your jurisdiction. Not all jurisdictions offer diversion for DUI / DWI crimes, and it is even possible that the existence of diversion programs for DUI offenders varies within a state - that is, some counties may offer diversion while others may not. In order to be eligible for diversion (where it is available) you cannot have any prior DUI or refusal convictions on your driving record. The processes vary by state, but most often, if one is eligible for diversion, they do not enter a plea in the case but enter the diversion program before a plea would be entered. The terms of the diversion will vary but will likely include certain restrictions on driving privileges, required attendance at alcohol assessment, treatment, and counseling sessions, community service, and diversion program fees. What is the advantage of diversion following a DUI / DWI arrest? The biggest advantage of diversion is that the records of your DUI / DWI arrest will be sealed some period of time after the diversion program is completed. You will still have to disclose the DUI / DWI in certain limited situations (applying for certain licenses primarily) and the court will still count a DUI that went to diversion in subsequent DUI arrests, but will not have to say that you were convicted of a charge under most circumstances. Other advantages may include less harsh penalties than those for a DUI that handled judicially, faster disposition of the DUI / DWI case, and others. Be sure to inquire about the possibility of DUI diversion programs in your jurisdiction during your initial free consultation with a skilled local DUI lawyer. Expungement is a legal process through which a conviction is erased from your criminal record. The disadvantages of having a DUI on your record are potentially devastating, so if expungement is available for your drunk driving conviction it is in your best interest to avail yourself of the opportunity to expunge your DUI / DWI arrest. Expungement can be a complicated process and it is not advisable to attempt the process without the assistance of an experienced drunk driving criminal expungement attorney. Expungement of drunk driving offenses is not possible in all jurisdictions. It is not uncommon for a state to exclude explicitly misdemeanor DUI / DWI charges from those charges which are expungeable. Your DUI lawyer will be able to tell you whether your state laws allow expungement of intoxicated driving offenses. Do not attempt to handle a drunk driving arrest on your own. Hire an experienced DUI / DWI lawyer in your local area as soon as possible. Skilled drunk driving attorneys in your state can help with all aspects of your DUI arrest including DUI penalty ranges, DUI Driver's License Suspension issues, DUI Diversion Programs, DUI Expungement, SR-22 Auto Insurance, and any other questions you may have. Contact a DWI / DUI defense lawyer today. If you are interested in reading an individual state's DUI statutes including penalty statutes and driver's license statutes, click on the state you wish to read about in the table below. On that page you will be able to click on the links to read individual statutes. Note that in addition to the selected statutes on the pages, you may search all DUI related statutes for the 50 states by clicking here.